Dhruv Drags Thapki! TPK Thapki Pyaar Ki 1st August 2016 Episode Written Updates :- In the last night episode of the TV series, Thapki Pyaar Ki starts with Dhruv giving Shradha the divorce papers and ask her to sign. He says that you are not my wife now I am going to marry Thapki now and Dhruv left. Shraddha torn the paper and said I won’t let this happen. She says that I thought that with the wedding of Thapki and Bihaan everything will be fine but I won’t let this happen. She said I need to kill Thapki and she put water near the bed of Thapki with open wired. Dhruv shocked to see that Shraddha torn the paper of divorce and he shocked to see so. He thinks that hope Shraddha will not harm Thapki and rushes to Thapki’s room where he shocked to see that Shraddha is trying to kill her. Dhruv now successfully save Thapki and he asked Shraddha that he now need to reveal that Shraddha tries to kill Thapki in the front of Pandey family. Due to Suman was also there she said yes, Shraddha tries to kill Thapki. Dhruv is on his way to the hall but Shraddha warned him that if he will not save Shraddha then Shraddha will reveal the fact to the Pandey family. So when Suman asked the family that Shraddha tries to kill Thanks Dhruv asked to them that my wife Shraddha can’t do something like that. 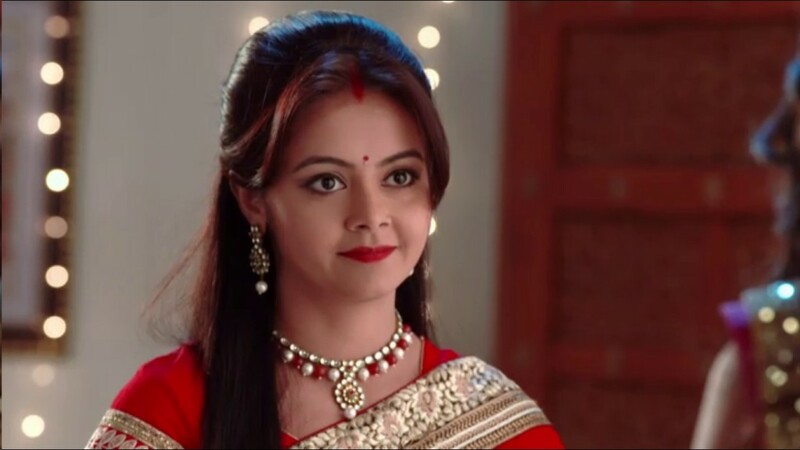 Thapki also said yes, they were planning to kill cockroach when Shraddha says that she was in the plan to kill a cockroach. Dhruv warned to Shraddha that this is last time when I saved you but will not do the same in future. Shraddha meet with Thapki in the midnight and says that the plan has been succeeding now and Thapki says yes, it means that perhaps Thapki and Shraddha joint hands to exposed Dhruv. Thapki unintentionally hurt herself but Bihaan rushes to save her. Both Shraddha and Thapki are shocked now.